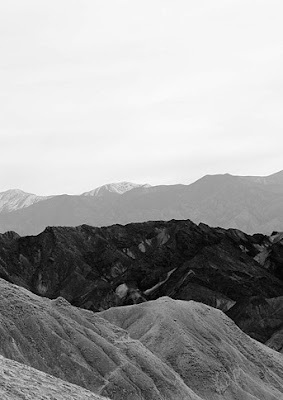 Last week I embarked on a trip through the deserts of Death Valley and Western Nevada. This was my first time in either place and I couldn’t help but think I had been in this God forsaken landscape before. 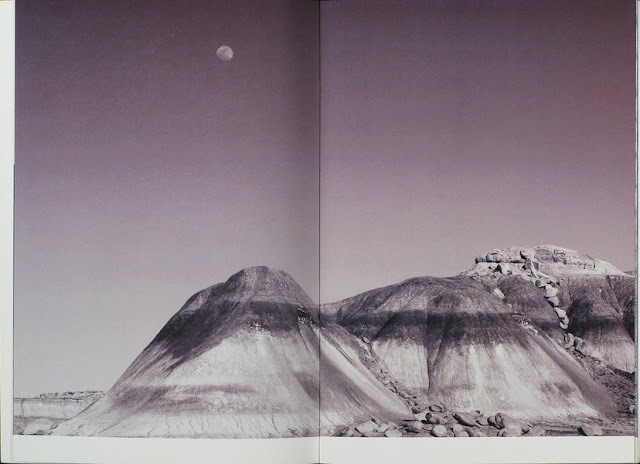 This desolate environment created an otherworldly sense of isolation and paranoia. Sure, it could have been the thousands of acres of underground US military facilities I was driving over and the sporadic black SUVs one would catch a glimpse of from a distant hill that sent chills down my spine in the triple digit heat, but I think it had more to do with the bleak view of this mountainous region that not only felt unfamiliar... there was a sense I had somehow found my way into another dimension. After finding my way back to reality and settling into the comfort of my book filled office I picked up a copy of Tereza Zelenkova’s Supreme Vice and while absorbing the images had an immediate flashback to last week’s experience. Come to find out, the landscapes in this book were taken in the deserts of the American West, specifically in Death Valley. Zelenkova’s book conveys a detachment from reality that is structured through her desolate depictions of the barren desert. This structure suits the book well given the artist’s vision of weaving her Gnostic view of occult symbolism and mysterious landscapes together. This is a series that uses simplistic imagery in a manner that creates a powerful narrative, a narrative that depicts a deeply rooted undertone of isolation and a sense of spiritual exploration.